Setting reminders and alerts based on a location isn’t really anything new in terms of the underlying technology, but as we have seen so many times in the past, things seem to come to the forefront when large companies like Apple or Facebook adopt them and put them them back into the public eye. 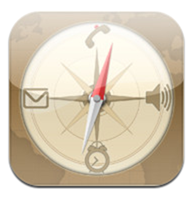 With the launch of iOS 5, Apple brought us the stock Reminders app that features location aware reminders and to-do tasks, but now thanks to the Location Alerts app for iPhone we also have the ability to schedule text messages and calls based entirely on location. The app is billed as bringing messaging and call scheduling features, but with a twist. 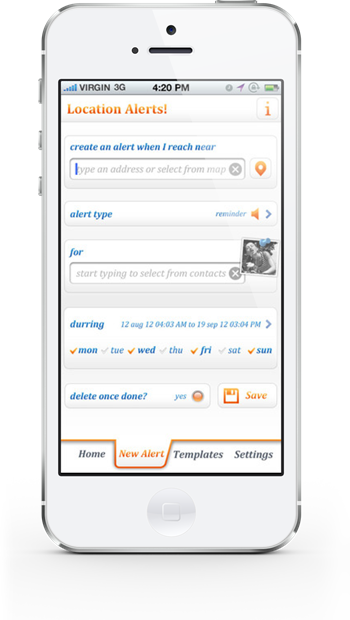 Rather than making simple diary and calendar entries to go off at a specific time, or even using the Reminders app to flash an alert at a specific location, Location Alerts allows users to invoke text messages or attempt to initiate phone calls when the handset enters a certain radius of a given location. As outlined in the App Store information, there are a number of different situations when this actually might prove useful. The idea behind the app is sound, but unfortunately, due to necessary security restrictions, the iOS platform just doesn’t really lend itself very well to this type of creation. The power of the app lies in the ability to create and set calls, reminders and text messages to occur when entering a certain location. 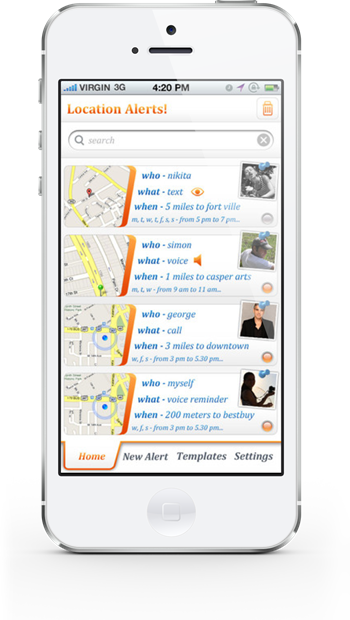 Scheduling features within the app also offer additional power to the user. Unfortunately, Apple doesn’t actually allow phone calls and text messages to be fully invoked by a third-party app and therefore requires the user to actually place the call themselves by accepting the alert or sending the message. 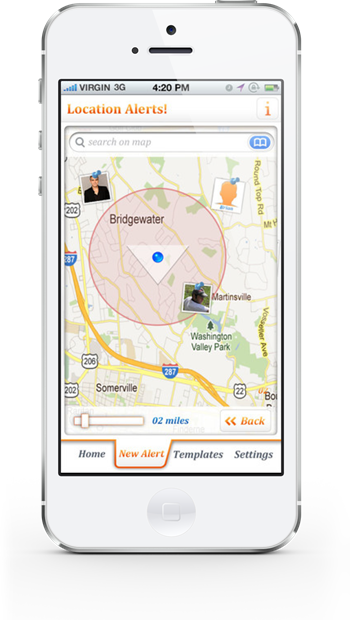 The only real difference with Location Alerts to things like the stock Reminders app is that it will populate a call alert with the desired number before prompting for confirmation or actually populating the body of a text message before requesting the user to send it. The user-interface is cluttered and deviates far too much from the use of standard iOS controls, in my opinion, and certain aspects of the app seemed to be there for novelty sake. An example of this is the map view that is displayed when attempting to select a location. After fifteen minutes of playing around with it, I simply couldn’t find a way to actually select the location from the map and had to enter an address manually from the previous screen. The idea is a good one. But in reality, do we really want our handsets making phone calls in our pockets if we don’t hear the alert? I can’t help but feel that the iOS security restrictions are in place for a good reason.